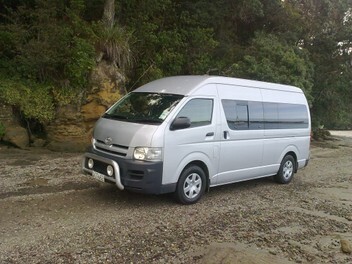 Late Model carpeted Jumbo Hiace and man to help. Text is best as I am driving most of the day and I do not answer the phone when driving. I try to answer texts every time I stop driving. and i will text you back with a price for the job. Simple. PS. if i have not answered a daytime call or text within the hour i am probably overseas. Prompt delivery, competitive price, very friendly, quite possibly the best MAN WITH A VAN in the country. Handle with care. Excellent service and most accommodating. Highly recommend Mike and will definitely use his services again. Collected and dropped off a heavy treadmill no worries! Cheers, Lion. Fantastic service, great communication, punctual and moved item carefully. Highly recommend! Mike is superb! He has helped us twice with very tricky, frustrating jobs and was able to leave us with positive memories of the experiences! Thanks again Mike! Mike is a professional man, on time and very nice person. Good communication and prompt response. I got a quotation after a minutes and agreed to have a transaction the next day. Smooth and easy to deal with, highly recommended. Nice clear communication when I approached him, then punctual and friendly on the day. Great professional service, very highly recommended. this is the second time we have used Mikes services and he is absolutely fantastic to deal with. we had some issues with a seller from whom he was collecting an item from for us, but he took it all in his stride despite the inconvience to him. a highly recommended operator thats why we have him saved in our favourites... thank you very much mike. kiwiquizza auckland. Got a quote a couple of minutes after texting, and a few minutes later we had an agreement which went smoothly and without a hitch exactly as planned. So lovely not to have to chase up someone constantly. I can most highly recommend Mike and will not even consider using anyone else now. Mike moved a big eight-piece bedroom suite for me from Torbay across town to Cockle Bay. His van is a big Hiace and is set up as a moving truck- tie downs, straps, blankets. Don't be put off by the text in Mike's ad. An absolutely excellent move in every aspect- and I fear and hate movers. Prompt, courteous, helpful, efficient. Easy to communicate with despite all his disclaimers. I wouldn't accept his fee- it was too low. Very happy with this man's helpful and friendly service. Quick and easy) Thank you very much for help. Mike is very and patient man. His service is very affordable. I highly recommend Mike. Mike offers a splendid service, reasonably priced, prompt and helpful. His adaptability and thoughtfulness would make him most appropriate for elderly or disabled customers. However he can be confidently recommended to all.